Good morning lovelies. I hope you've all had a great weekend. I've been busy going to markets, doing a spot of shopping and thinking about an exciting project that I have coming up. I have been making plans for next month which is going to be madly busy with all sorts of exciting things - but more of that later. Anyway, the cherry tree in our garden is finally in full bloom. If you follow me on Instagram, you'll already know how happy that makes me. The hundreds of white blooms, the colours of the branches and leaves - not too bright nor too pale, just perfect. If you know me, you'll know that I'm taking inspiration for interiors and colour schemes from all sorts of sources and this one seems just perfect. 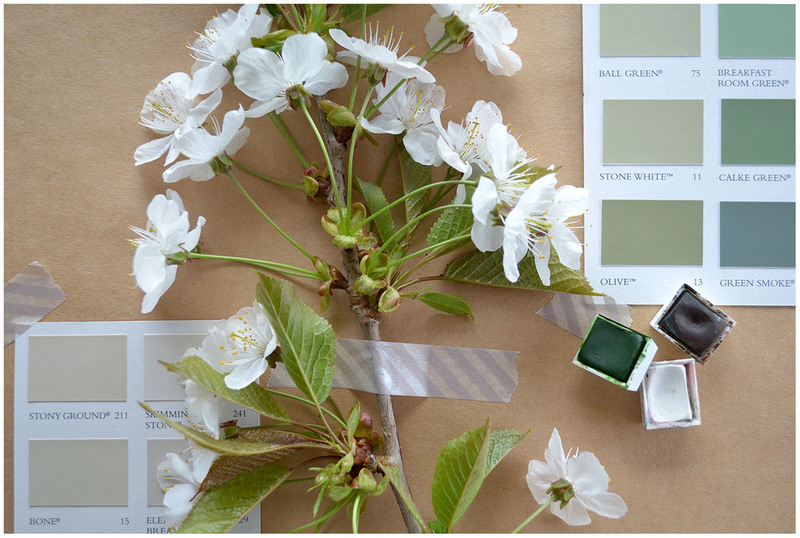 This is the perfect colour combination for a welcoming Spring interior, don't you think? Whites and a combination of shades of greens and woods. 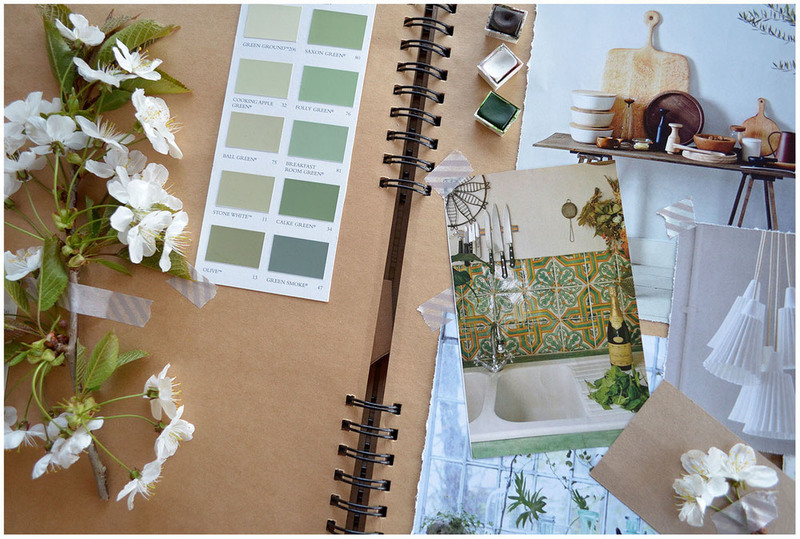 A calm and fresh palette with warm and natural touches. Natural elegance - perfect for this time of the year.